I came across a card on Pinterest that had a versamark background, and I loved the look of the card. 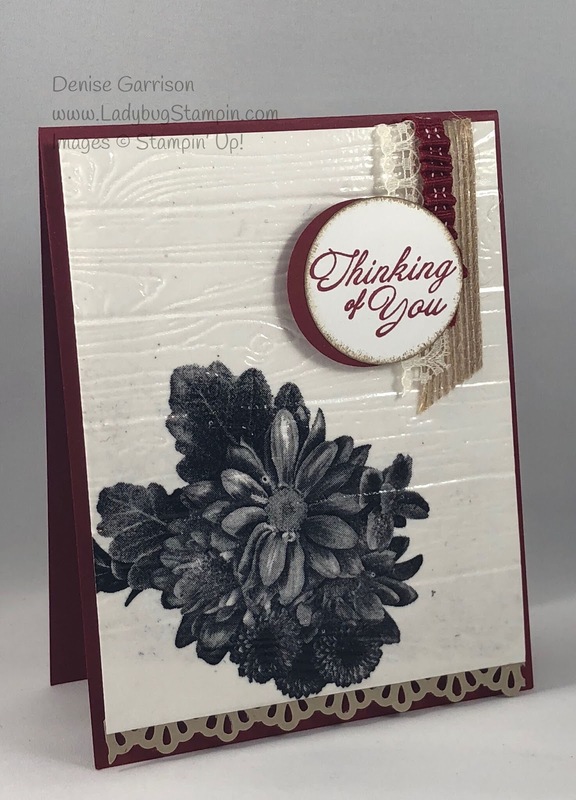 And with Sale-A-Bration ending on Saturday I wanted to highlight a stamp set that I have come to love....Heartfelt Blooms. 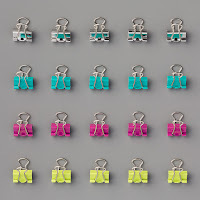 Which you can receive for FREE, with a $50 purchase of product from my online store. I tested the technique on Periscope using Cherry Cobbler as my base color. I loved how this turned out, but not the black smudges from the ink. I can get quite messy with ink, but I still wanted to show you. When I decided to create the card for a video, I went with Daffodil Delight as the color base. 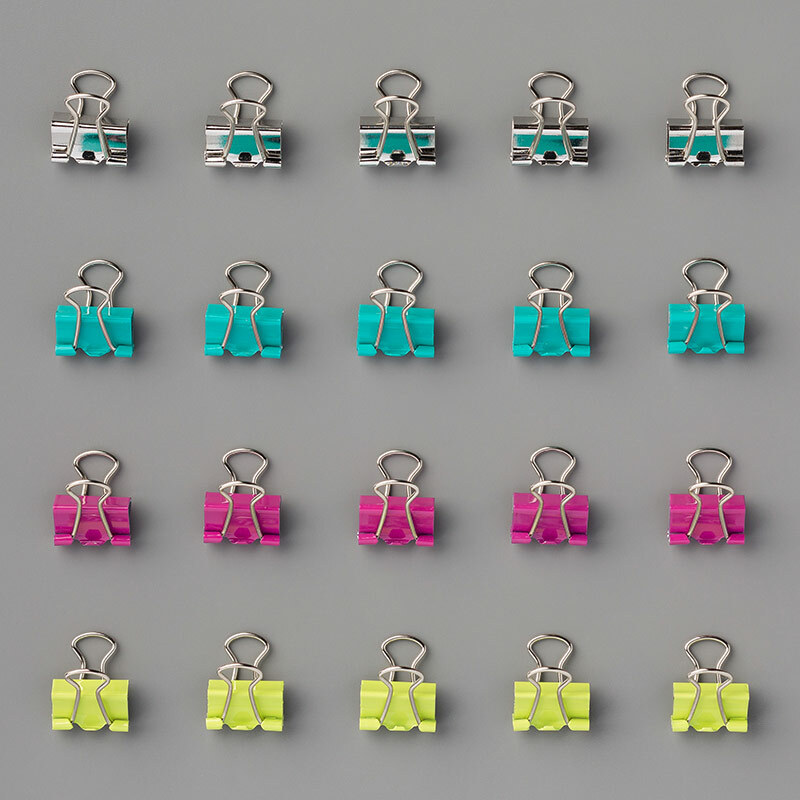 Spring is in the air, which means summer is fast approaching...or at least I hope so. It's my favorite time of the year. There looks like there is a few smudges on this card too, but in person I cant' see it. Wow my new iphone catches the details! I choose to offset my sentiment by using the same punch size, this gives you an alternative look. 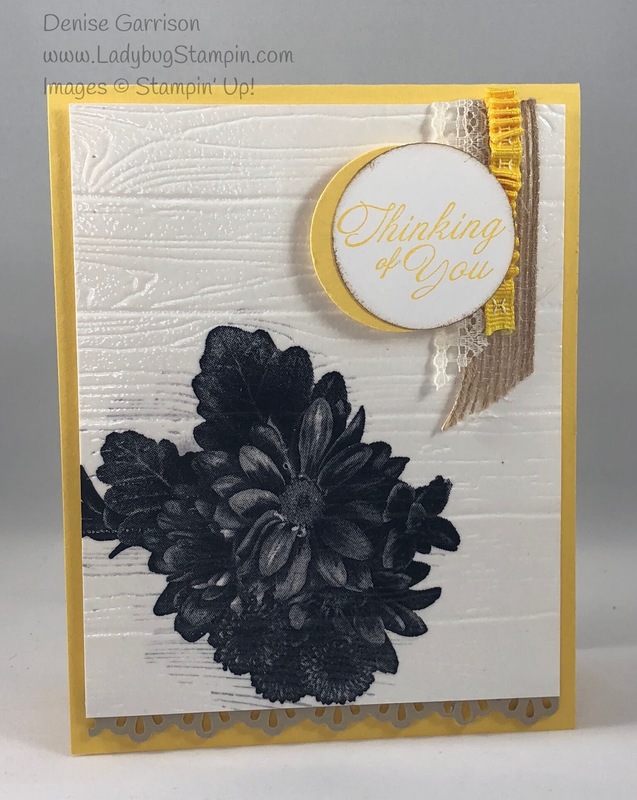 I used the Pinewood Planks Dynamic Textured embossing folder, as the stamp set reminded me of wild flowers growing by an old barn. Scraps of Whisper White and Daffodil Delight for sentiment. Onto the technique, well I have created a video for you to watch the process. 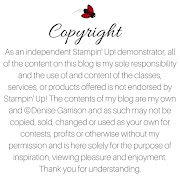 I also wanted to remind you that Sale-A-Bration ends on the 31st of March, this is your last chance to earn FREE products with a $50 or $100 purchase. 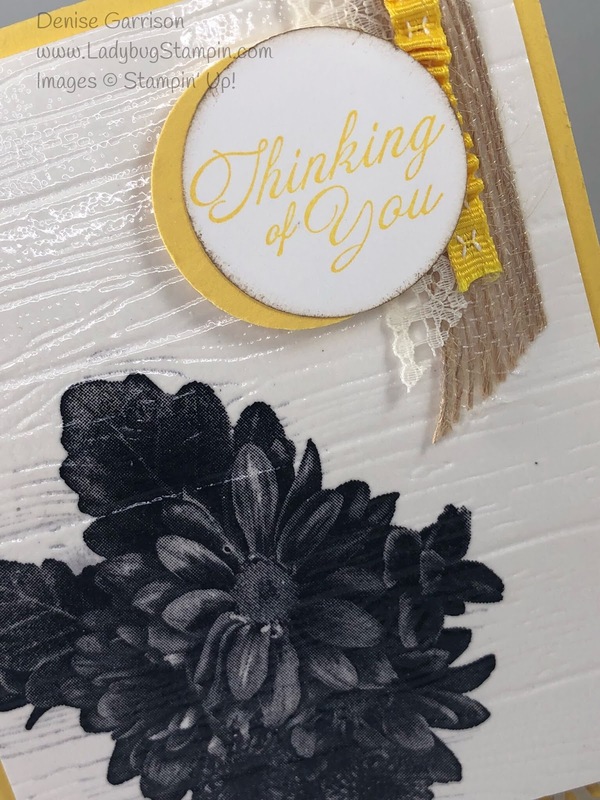 There is some lovely Springtime Foil Specialty DSP that you can add color too with either Stampin Blend Markers, or Stampin Ink Pads. For the February Christmas Challenge, one of my downline created some stunning cards using this DSP. Come check it out and get yours before they are gone. If you have any questions please contact me via email or on Facebook. Have a wonderful creative day! !